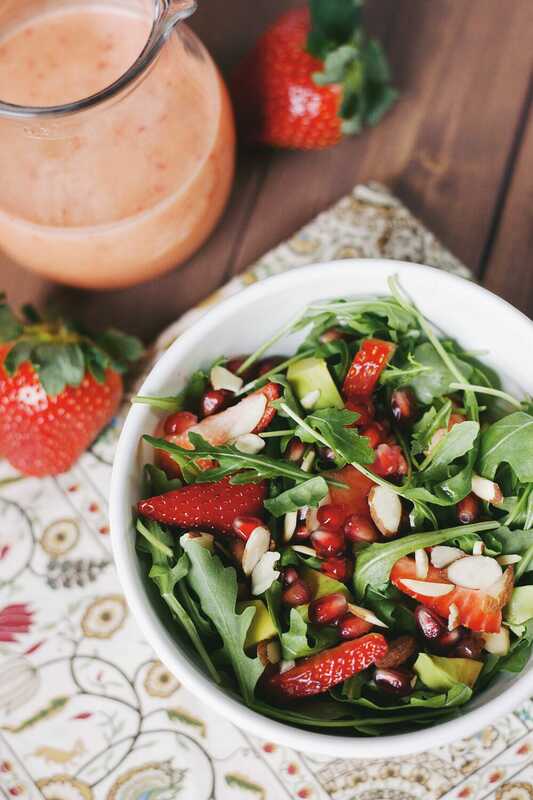 Delicious Strawberry Salad with pomegranates, avocados, and the best homemade strawberry vinaigrette. 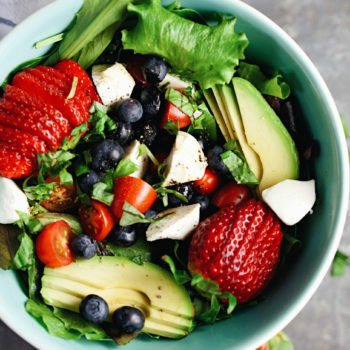 Hello to my salad lovers! This one might get you really excited… I’m always thinking about new fun salads to make AND I needed one last recipe to use pomegranates with before they go out of season (sigh). I also couldn’t resist how beautiful these strawberries looked especially in the middle of winter! Talk about a beautiful bowl of colors. 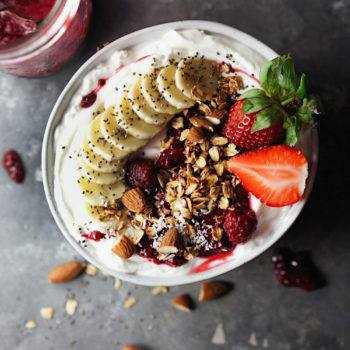 So simple and absolutely yummy! 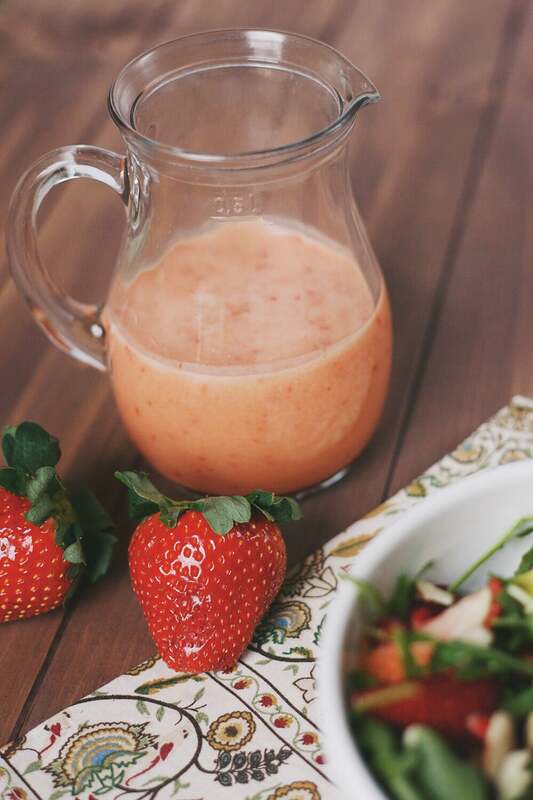 And don’t even get me started on this amazing strawberry vinaigrette! You will fall in love with this and it just might persuade you to ditch the store bought dressings forever. 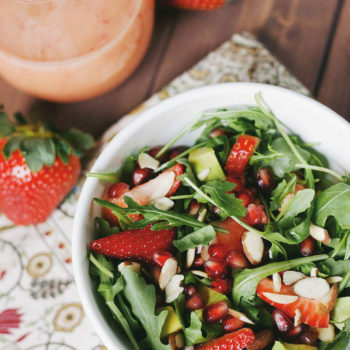 Delicious Strawberry Pomegranate salad with the best homemade strawberry vinaigrette. 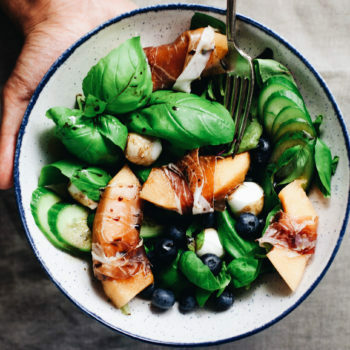 Place vinaigrette dressing ingredients in blender or food processor for 30 seconds till combined--store in a sealed glass jar in refrigerator for up to 1 week. 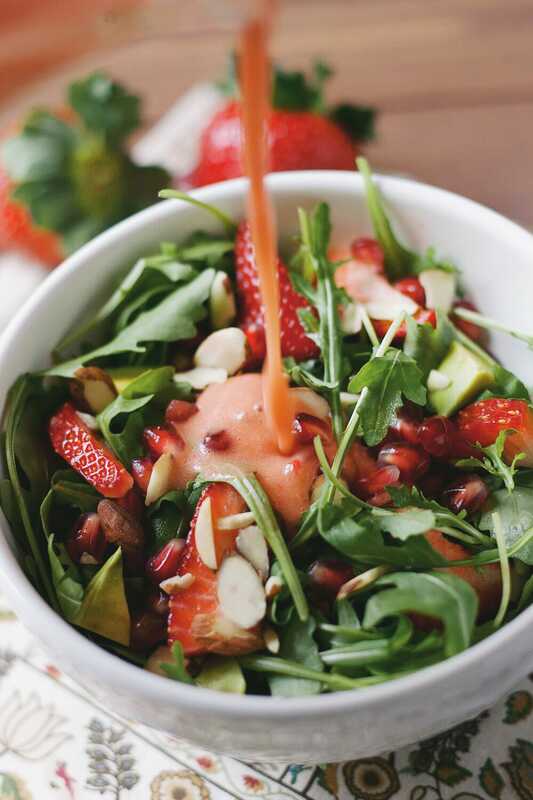 Arrange all of salad ingredients in a bowl and serve with strawberry dressing. Add other fruits or vegetables if preferred. I dont know what I like better, the food, the comments, of the unique layout – thanks – and thanks for the inspiration!